In 1883 the publisher František Topič opened his first bookshop here on Národní třída (National Avenue). 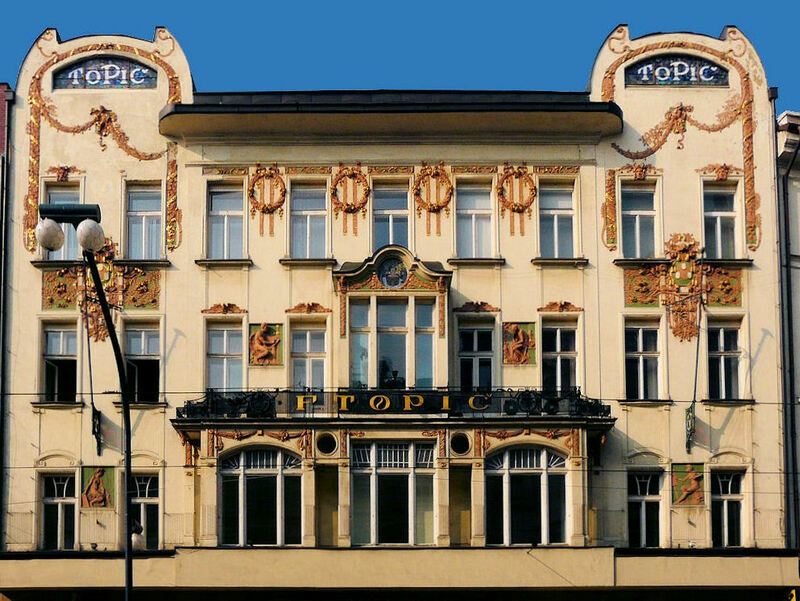 From its central location opposite the National Theatre, Topič was able to exert great influence as a promoter of graphic design, and his salon of 1894 became a central meeting point for the artists of the fin-de-siecle. 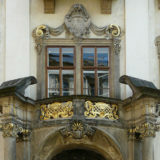 It was here in 1895 that the first Czech art exhibition took place. 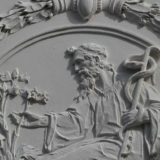 In 1905, the prominent art nouveau architect Osvald Polivka was commissioned to redesign the facade, incorporating elements of the Topič ‘brand’ including polychromic mosaics, stucco reliefs, and the gilded name of the gallery’s founder. 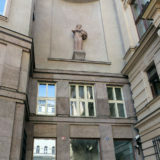 In the thirties, the building became the property of the Stránský publishing family, owners of a string of newspapers including Lidové Noviny (The People’s News) – of which Karel Čapek was the editor – Literární noviny (The Literary News), and Přítomnost (The Presence). The last of these, resurrected in Czech and English versions in the mid-nineties, still has its offices here, while the gallery still functions as an exhibition space for contemporary art.